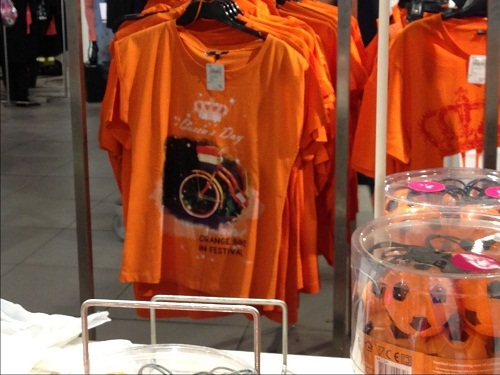 Tomorrow is Koninginnedag, or Queen’s Day. It’s also when Queen Beatrix abdicates the throne for her son, Willem-Alexander. There will be a lot of events going on, especially in Amsterdam where the main festivities are (schedule). One of the local movie theaters in The Hague will also be showing the abdication live. 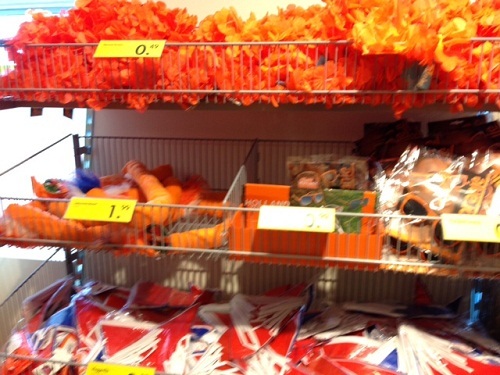 Albert Heijn “Wuppie” – royal version. (you receive one for every €15 you spend). Buttons and more. 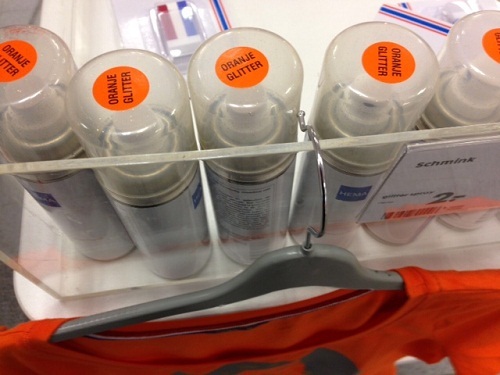 If it’s orange, it sells. 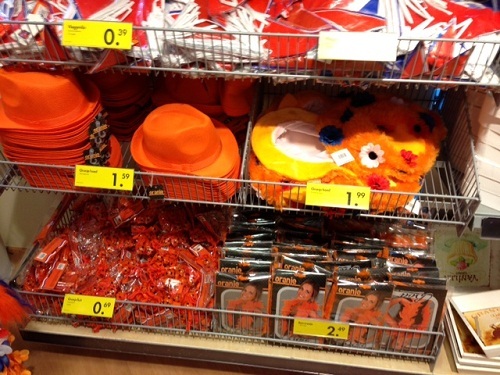 Do you need some orange hats? 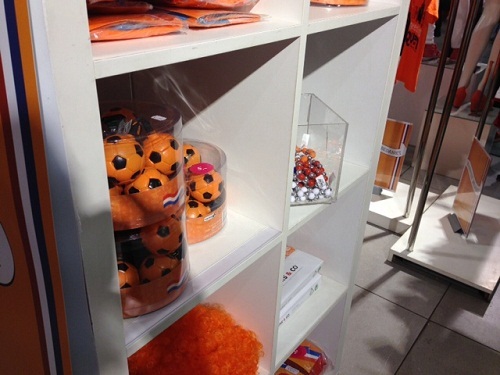 Perhaps some mini orange soccer balls? 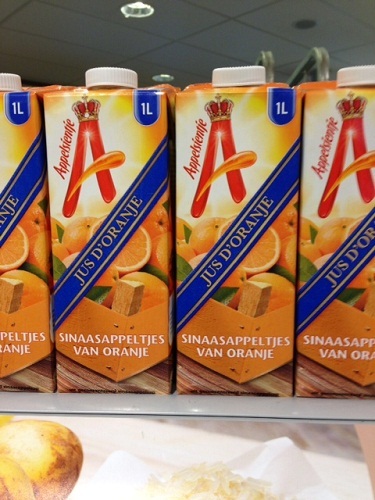 Normally orange juice is called Sinaasappelsap (sinaasappel, sap=juice), but just to get the word “oranje” in there, they called it “jus d’oranje”. 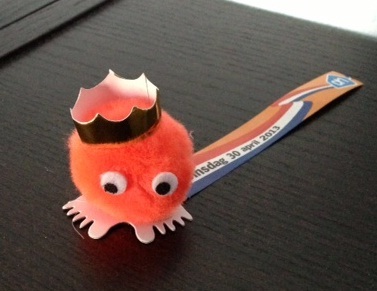 Note also the crown over the A.
orange hair glitter, of course! 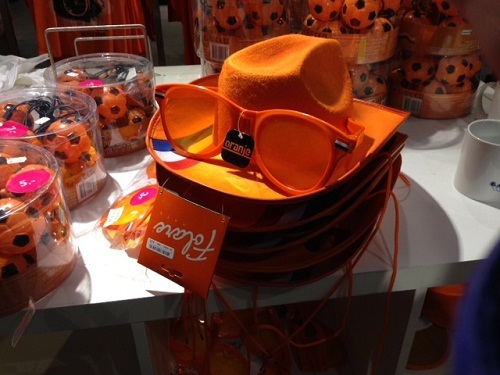 You can also add some stylish orange glasses! 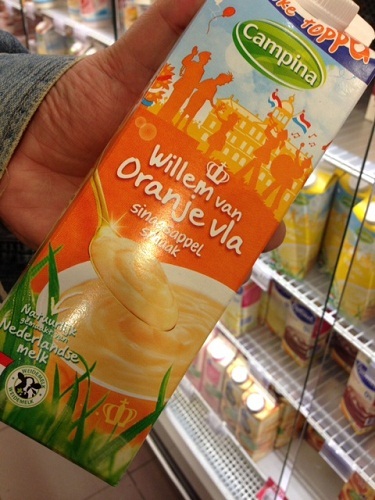 limited edition – it’s similar to yogurt, but orange flavor. 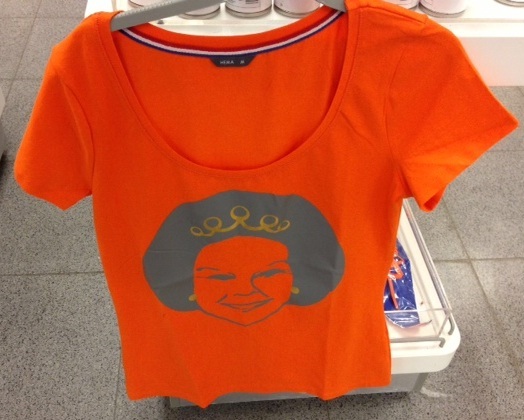 You can even get the Queen’s face on your shirt. Hmmm. A bit more stylish, this adds in a bike and a Dutch flag. 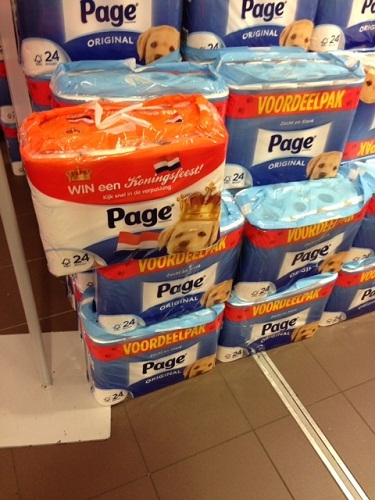 This is cute actually – the mascot for this toilet paper (Page), gets a crown. 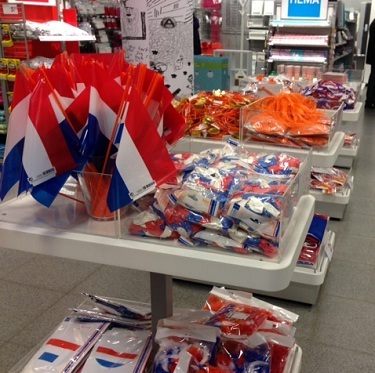 You can’t go wrong with a lot of Dutch flags.